Many people will open this book and think: Ballardian. I certainly thought that. But I also thought: Simplish. That’s an adjective for something reminiscent of the Telegraph columnist Peter Simple, who wrote about the “mysterious urban poetry” of litter-choked ponds and abandoned power-stations. So do Paul Farley and Michael Roberts. They write about literal poetry too, quoting Philip Larkin and Ted Hughes to illustrate their ideas about the places that exist on the edges of towns and cities, that service our civilization while being ignored, overlooked or despised: industrial estates, cooling towers, rubbish dumps, mines, reservoirs, sewage works, recycling plants, warehouses, self-storage depots, airports, conference centres, and so on. 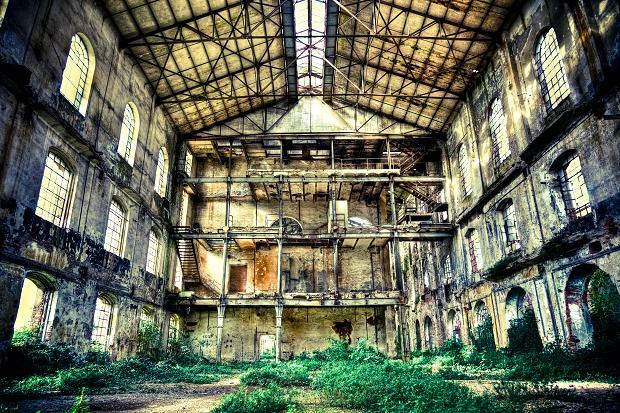 One of the strangest encounters we had in the edgelands was following a visit to a breaker’s yard on an industrial estate near Morecambe. … We found a man standing by his car looking into the evening sky with binoculars. The sky to the west was still a bright indigo, touched with reds and turquoises, the last embers of a typically spectacular west-coast sunset. But this man wasn’t interested in sunsets. Or birds. Ballard would also have liked the section about “golf driving ranges”, where people pay to hit balls out into an open space. This “silent ritual” is odd by day, even odder after dark: as rain pelts down on a corrugated roof above the club-swingers, “out there, slow white bullets trace an arc across the sky, spinning right to left or left to right, crossing each other in the air. Six, seven, ten at a time, out into the night” (pg. 299). The book is full of oddness like that, describing strange situations and surreal juxtapositions, mixing obscure history and miniature travelogue, introducing you to artists and writers you’ll want to investigate further, celebrating technology and questioning it. The writing could easily have been pretentious and Guardianista, but it never is. Perhaps that’s because Farley and Roberts are both northern and both poets. That doesn’t guarantee graceful or down-to-earth writing, but you’ll find both here. They can discuss horror vacui and industrial pallets with equal ease, celebrate the pleasures of tree-houses and the beauty of wild flowers. And not-so-wild ones. 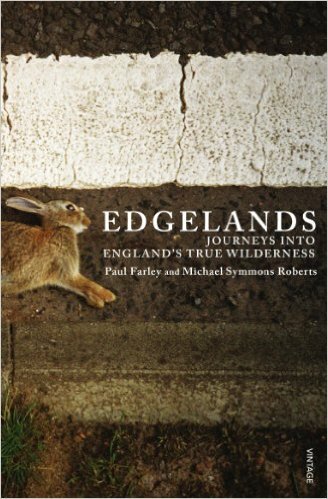 One section I particularly enjoyed was their description of how English cities, homogenized by big business, are still distinguished by the flora that grows in their edgelands. Bristol is a “Buddleia city”, Swansea is “dominated by Japanese knotweed”; Sheffield is home to garden escapees like “feverfew and goat’s rue, tansy, soapwort and Michaelmas daisies”, Swindon has “extensive stands of St John’s wort, with wild carrot, welted thistle, great burnet, crow garlic and ploughman’s spikenard” (pg. 185-6). But in every city there are “branches of Starbucks, Carphone Warehouse, WH Smith, Dixons, Currys and McDonald’s”. That commercial list becomes a refrain, a banal repetition heightening the richness and strangeness of the flower-names filling the spaces in-between. But then they’re talking about CCTV or floodlighting and finding something rich and strange there too. I learnt a lot from this book and re-thought some of my ideas. I enjoyed it a lot too. If you’re a fan of J.G. Ballard or Peter Simple, so might you. The title and sub-title suggested that this book would be heavily sentimental or highly warnographic or both. But it turned out to be one of the most interesting, enlightening and well-written war-books I’ve ever read. If it’s not ghosted – and it doesn’t seem to be – Theo Knell must be a very intelligent man. More unusually still, he can write good prose and help you understand what war and soldiering are like: loud, frightening, mind-and-marriage-destroying. I’m not so sure about the vers-libre poems that end some chapters. They’re interesting to read, but they aren’t as skilful or understated as the stories that precede them. 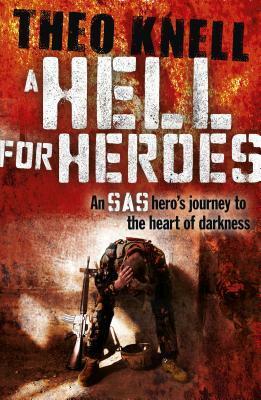 You have to experience war to fully understand it, but this book will take you as close as paper can go. 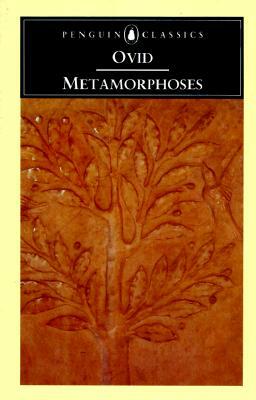 Ovid’s Metamorphoses is one of the foundation-stones of European literature and it’s bad that I took so long to get around to reading it. What’s lost in this prose translation is the sinewiness and concision of Latin verse; what survives is the skill and intelligence by which Ovid wove dozens of disparate stories of transformation into a coherent whole. One story triggers or swallows another as gods and mortals turn into stars, stones, flowers, trees, animals, birds, fish and even more. The phantasmagoria is heightened by the beauty and strangeness of the classical names: Lilybaeum; Phaethon; Narcissus; Tmolus; Tlepolemus; Mygdonia.